I wanted to write to you to thank you for everything you have done for the wedding. Your professionalism, patience, creativeness, attention to detail is truly one of a kind. The flowers and the reception room BLEW ME AWAY (blew everyone away!!! ) It was the WOW factor I wanted above and beyond! I can't begin to tell you all of the compliments people made on the flowers!!! Many people asked for your information as they were the best flowers they have ever seen!!! My family HIGHLY recommended you and basically told everyone there's NONE BETTER!! You made the planning and the actual wedding a truly wonderful experience! I will be writing many reviews where ever I can so I can highly recommending you!!! Again I can't thank you enough for all you hard work and expertise with creating a wonderful atmosphere at our wedding. Even the banquet mangers at Salvatore's the next day said they were absolutely amazed by the flowers. They have never seen such beautiful displays!!! I wanted to reach out through email now so you knew how amazed we were with your company!! And you were right! The gerbera daisies on the plate turned into headbands hair accessories waist bands on dresses and even necklaces!!! I'm so happy we did that!! Thanks for everything. Thank you again. It was a pleasure working with you, and the flowers were more beautiful than we could have ever imagined!! Thank you very much for all your hard work and for getting me the peonies. I was SO thrilled to hear that you had managed to get them!! The bouquets so were beautiful!! The bridesmaids bouquets were gorgeous in just the right colors and the flowers looked so great together. My bouquet was exquisite! The peonies, hydrangeas, and calla lilies looked so good together. I can't wait to get the pictures back. I am so pleased with how everything turned out!! Thanks again. The flowers were sensational! EVERYONE and I do mean EVERYONE was talking about how gorgeous they were! I especially loved the bridesmaids bouquets and their amazing colors! My bouquet was absolutely breathtaking, thank you so much!!! I would like to point out that my mother is a very picky woman. I love her to death, but Lord knows, she is picky. When she saw the flowers, she was beyond elated...a very hard thing to accomplish with her! In fact, she mentions how much she loved the flowers every time I go home for a visit! She asked me to tell you that if you should ever need a reference for anything, she would be MORE than happy to be that reference for you. We were all just so pleased with your quality of work; you truly have a gift! I would get married every weekend if I could have that wedding I had a few weeks ago! Thank you so much for all of your help, all of your time, and all of your talent. I can guarantee you that I will be referring all of my friends and their future weddings to you! Thank you! Thank you so much for everything you did for us! Our flowers were truly beautiful and perfect. You greatly exceeded our expectations! You made everything so wonderful and the flowers were great quality. Thanks for all of your support through out the whole wedding process from the beginning to the end! It was our pleasure to work with you and also to have you as our florist for our wedding day! Thanks again for everything & all of your hard work, it is and was greatly appreciated! The wedding was amazing and the flowers were just perfect. They looked a million times more beautiful than I could have ever even imagined and they made the day. We received so many compliments on them. The flowers on the cake were stunning as well, but my favorite was my bouquet. The colors came together so well. Thank you again! You only here from people when they are complaining, so we just wanted to take the time to email you to say thank you for our gorgeous flowers!!! Our flowers were beyond perfect!!! They completely exceeded our expectations and our guests could not say enough about our centerpieces. We loved, loved, LOVED them!!! The guests also were very excited that they could take them home. My bouquet, especially, was my most favorite bunch of them all!!! Thank you for all of your hard work and we will email you some pictures once we get them from our photographer. Thanks again. I just wanted to THANK YOU SOOOOOOO much for my beautiful wedding flower arrangements!!!! I could not let another day go by without letting you know how pleased we were. I received so many compliments on my wedding bouquet. The rhinestones really added that special touch. Everything was just great, the pew bows and all. Your staff was extremely nice and they did an amazing job labeling and setting up the arrangements. You truly made our wedding planning easy and our wedding day even more special. We can't Thank You enough! We had numerous compliments on how gorgeous our flowers were. We were so happy that you understood our vision and executed it perfectly. Thank you so much for everything and we are recommending you to everyone. I have already given your number to one of our guests for a very large wedding next June. We were so glad to have you as part of our big day. Thanks again. I just wanted to take a minute and let you know what a wonderful job you did on my flowers. You can tell you love what you do because it shows in your work. I got so many compliments on the flowers and all the little details with the rhinestones and the ribbons made everything just beautiful. Thanks to your hard work and talent my wedding was truly beautiful! Thanks again. Thank you so much for everything you are absolutely wonderful to work with! The day went off without a hitch. The flowers were gorgeous and the bouquets and centerpieces were fabulous. I received lots and lots of compliments. Both Lino and I would like to Thank You again for helping to make our day extra special. I hope something comes up in the future where I can work with you again. I will definitely recommend your services to all of my friends and family. I can not express how thankful I am for all you did for my wedding. Your personal attention, patience and caring was very much appreciated. All of the flower arrangements were absolutely gorgeous. I can't tell you how many compliments you were given. You truly have an amazing talent and are absolutely excellent at what you do. You helped make all my wedding dreams come true. Thank you again for everything. P.S. I loved my bouquet so much I took it with us on the honeymoon. I just wanted to drop you a quick note to thank you for the absolutely gorgeous flowers for my daughter Shannon's wedding on May 29th. They were even more beautiful than anticipated. We received so many compliments from our guests and we made sure to tell everyone who commented your name and the name of your business. Thanks again for helping make Shannon and Jeff's wedding so very special. Thank you for making the beautiful flower bouquets and corsages for my wedding. The altar displays were spectacular! Thanks for all your effort to have everything look so wonderful. I could have not asked for better flowers. They matched perfectly. Thanks again, I appreciate it a lot. Your great attention to detail and incredible talent in capturing the beauty in my roses made our wedding day very elegant. Thank you so much for creating a masterpiece that complimented our wedding and made it memorable. I have enjoyed your professionalism and working with you. Thank you so much for all the great work with our flowers! They were absolutely beautiful, we got so many wonderful comments about them. Thanks again. Words cannot explain how beautiful the flowers were. Everything was better than I ever imagined! Thank you from the bottom of my heart for making my day even more perfect. Thank you for the beautiful bouquets and corsages for our daughters wedding. Your business will be highly recommended. When I first saw the flowers you prepared for my daughter Darcy and her bridesmaids, I was in awe. However, the beauty of the reception hall when Sally opened the door for me to see, was fantastic. I kept hearing people comment on the beauty of the flowers all day. Thank you so much for your personal attention in making this a beautiful day. I was absolutely amazed with the flowers! I almost cried they were so beautiful! A have received so many wonderful comments about them! Mainly "Oh my God" and "Stunning"..and "what were those??" I thought the Picasso calla's were breathtaking and everything including the size, just the right amount of purple, blue and white was perfect!!! You listened to what I wanted, and you nailed it dead on, and then surpassed my expectations! Doug was thrilled with the blue flowers in the centerpieces because they reminded him of the flowers his Mom liked. Again, thank you SO MUCH for the wonderful job you (and those who helped you) did for our wedding! You certainly helped to make it memorable and beautiful!!! One of my favorite moments of my wedding day was when our flowers arrived at Beaver Hollow. You brought my vision to life!! Our flowers were arranged artistically, held up beautifully, and looked great in the photos. I received so many compliments on my bridal bouquet! Thank you for doing such a beautiful job with our wedding flowers. I cannot thank you enough for all you did for my wedding. The flowers were unbelievable! The room at the Marriott looked wonderful and everyone commented on the flower arrangements. I appreciate the time and effort you spent to make our wedding day so special. Thank you. What a gift you are! You did such a fantastic job on the flowers for Elizabeth's wedding. Every little and big thing you did was perfect and beautiful. However it was your personal care of us that was such a standout. Thank you for caring about the room, the tables, the flowers and us. You made the altar look so good, and all the girls flowers were great. Thank you for your efforts. Peter and I appreciate everything. I can't even begin to tell you how much we loved our flowers. They were not only beautiful but they lasted well past the wedding. Our guests are still raving over them too. Thanks for making our day so special. It has been a pleasure working with you. Thanks for always being on top of everything, you are the best! We just wanted to take some time and send you a long over due thank you for the amazing flowers you provided at our July 4th wedding. They turned out more beautiful than we ever imagined! 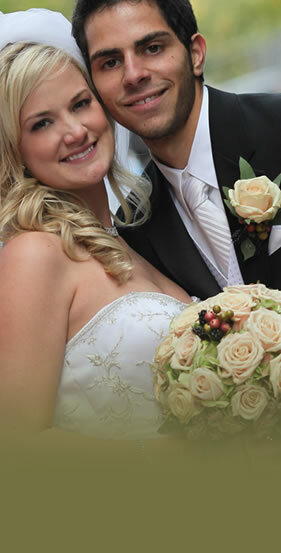 We received many compliments on the arrangements throughout the wedding and for weeks afterward. We have and will continue to recommend your services to others. We also appreciate how stress free the whole experience was. It was a pleasure working with you, we could have not been happier with your services. Thank you again for helping create a beautiful memorable day. Thank you so much for the beautiful flowers. I couldn't have been happier with the way everything turned out. You have a true gift, thank you for sharing it with us. Bryan and I want to thank you for the beautiful floral arrangements and bouquets for our wedding. They were truly exquisite and made our wedding vision a reality. Thank you for all your effort in making our wedding magical. Michael and I just wanted to thank you again for such beautiful flowers at our Wedding! We got so many compliments on our flowers. My bouquets were gorgeous, especially my Bridal bouquet! Your flowers are truly beautiful! I am recommending you to everyone I know that is getting married. I had the perfect pink Wedding with your flowers! I just wanted to tell you how beautiful the flowers were for our June 6th wedding. They took my breathe away. I never imaged them looking so beautiful. Thank you so much for making my day so wonderful. I will definitely recommend you to all my friends, because they all loved the flowers too. I was at my cousin Erin's wedding this weekend and I have to comment on the wonderful flowers. Everyone was so impressed with your work, and how well the arrangements lasted in such hot and humid conditions. They were more beautiful then we could have hoped for. I will be definitely recommending your services to all of my friends who are getting married, and myself when the time comes. Thank you for a job well done! I just want to let you know the flowers were AMAZING. People kept saying "are those real?"! They were beautiful and perfect in every way. You are truly amazing at what you do. I couldn't be more pleased. I just wanted to express my gratitude for the wonderful job you did with the flowers. They were amazing! They were everything I had hoped for and more. I received many, many compliments on them. The flower arrangements and bouquets for our daughter's wedding were exquisite. The arrangements and pew flowers looked absolutely beautiful in the church, and the bouquets were a perfect compliment to the bridesmaids' dresses. Even with the heat and humidity of Saturday, the flowers remained fresh all day. Thank you for your input with the designs and the wonderful service you provided before and on the day of the wedding. We received so many lovely compliments and requests from 2 of our friends for your business card. amazing. Everything was just PERFECT!!! florist. You did such a GREAT job!!! It was a pleasure working with you! Thank you so much for everything! "I just wanted to take few minutes to write you a letter to express our sincere gratitude for the absolutely beautiful flowers you arranged for our wedding. From the bouquets, to the corsages, to the boutonnieres, to the memory rose vases - Everything was just perfect. I cannot tell you how many people complimented me on the flowers all evening. We also loved the way you included the holly berry into the flowers to bring the whole Christmas theme together. I know I changed my mind countess numbers of times, but your patience and understanding made everything seem so simple! We cannot thank you enough for helping to make our "special" day truly special. I will highly recommend you to anyone in need of any type of flower arrangement. Your talents and professionalism really left a lasting impression." "Your flower arrangements were absolutely beautiful! Works of art! The shower was a huge success due to you. The flowers were more beautiful than expected. Thank you so much!" "Thank you so much for providing such elegant flowers for our wedding. My bouquet was beautiful! We got so many compliments and inquiries about who did the flowers. You really helped to make our day extra special. Thanks again." "Thank you so much for all of your assistance through the flower making decisions. We appreciate all of your help. Your work is beautiful, I would recommend you to anyone." Thank you again. "I just wanted to say thank you for taking the time to discuss my wedding flowers. The flowers and your work are wonderful. I look forward to seeing the final product next July. Beautiful work and beautiful place." "I just wanted to thank you for all of your hard work! The flowers for our wedding were amazing! I received so many compliments on them. I am recommending you to all of my friends that are getting married. Thanks again for everything!"